TBD the Mitty in 2019. The dates for this year are TBD. The East Coast Datsun 510 meet,(known as SPEC510 -Summit Point East Coast 510), we meet every spring at Summit Point Motor sports Park in West Virginia. 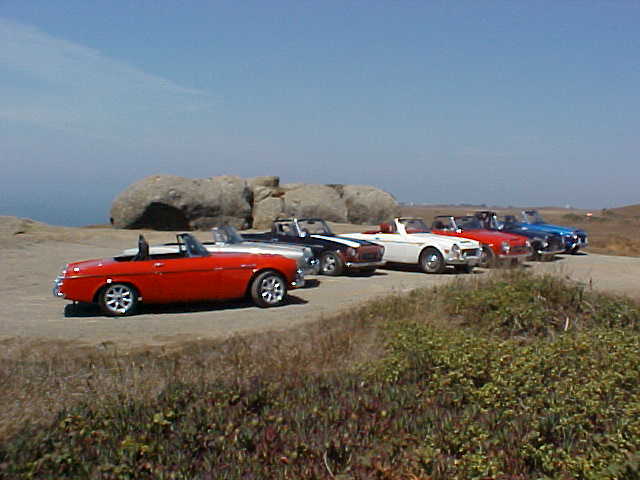 Our event is held during the Jefferson 500 Vintage Car Races. We camp out at the track and watch the races, display our cars and share in the camaraderie of our common love for these great cars. Whether you bring your 510 or not, you will have a great time. Come join us, it is the Best 510 event east of the Mississippi. All Datsun Cars and owners and Datsun lovers are welcome. For those that don't want to camp out but still want to join us, there are hotels/motels in nearby Charles Town, WV and Winchester, VA. Summit Point is located about 75 miles Northwest of Washington, DC. So get your cars ready and start making your plans now.